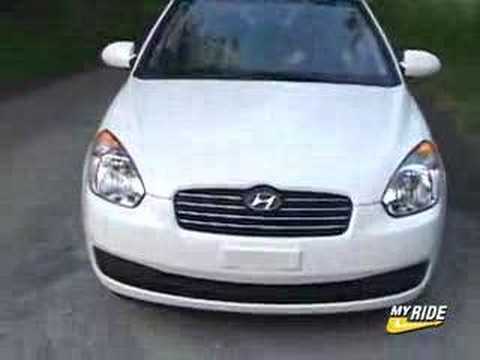 The Hyundai Accent is a very reliable car. In the time that we have had it, we have only had to have it serviced. No major problems at all. It is actually quite comfortable for a small car. The only thing I do not like is that we only got a single key and the duplicates are slightly expensive since you cannot get one from a local key place and you have to order them from the dealer. Check engine light came on twice since I owned it. Brakes seem to wear fast. Otherwise it is a reliable vehicle. It is just not real good in snow. The back seat is very comfortable even for relatively tall people. There is more than enough front leg room and it gets good gas mileage on long trips. It is a very comfortable car for the size when you are traveling. It's an affordable, yet dependable long-lasting car. I bought it used and I love that it has a very low resale value as that benefits me as a buyer. It's very dependable too and pretty easy to fix most of its mechanical issues myself by watching YouTube and just giving it a try. My only dislike is that I wish the gas tank were larger and it had a little faster acceleration.